Miku <3! I am still loving Vocaloid very much! 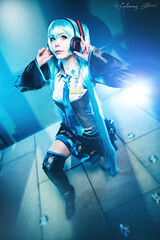 I always liked Miku, but never managed to cosplay her. 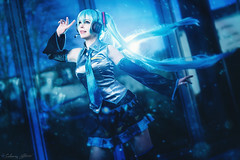 Thanks to Cospicky I could now be Miku and take some cool photos with the costume! Costume is sponsored by Cospicky and you can read my review about their product HERE. I made the headphones, hair ribbons, boots and wig styling ^.^. We had to shoot tis costume in February in -8°C…so cold! But Captured was super fast in taking pics, so we got many nice ones within a short time.